On January 10, 2018, our research ‘The City of the Future’ has starts. This study explores new ways of city making by using five test locations of 1 x 1 km in the cities of Amsterdam, Rotterdam, The Hague, Utrecht and Eindhoven (five most populated cities in The Netherlands). We question how we can interrelate urban development, whilst urban design, planning and engineering, to upcoming challenges like shifts in transport, energy transition, circular economy and other system and network innovations, in times of the next generation of densification. This summer school starts from the observation that today’s revolution of new technologies, theories and methods are making advanced metropolitan solutions possible, but acknowledges that no single actor or stakeholder can make metropoles move in a specific direction. Metropolitan solutions require cooperation between knowledge institutes, companies and governments, as well as between cities, citizens and civil society. As the majority of the world population is living in cities today, urban environments have become a place for many people. We are obliged to aim at sustainability and safeguard people’s quality of life, and human wellbeing. 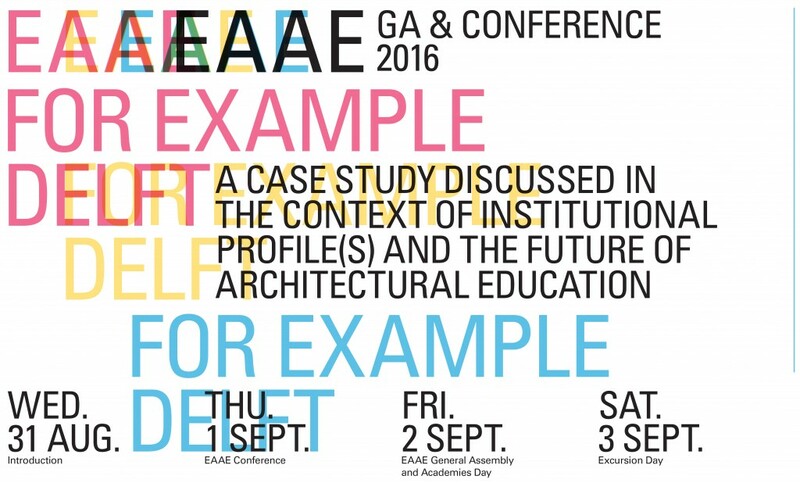 These challenges are motivating science and society to approach metropolises differently. Advanced metropolitan solutions to overcome problems are being made possible by today’s revolution of new technologies, theories and methods. But no actor or stakeholder can make metropoles move in one certain direction. Metropolitan solutions require cooperation between knowledge institutes, companies, governments, between cities, citizens and civil society. 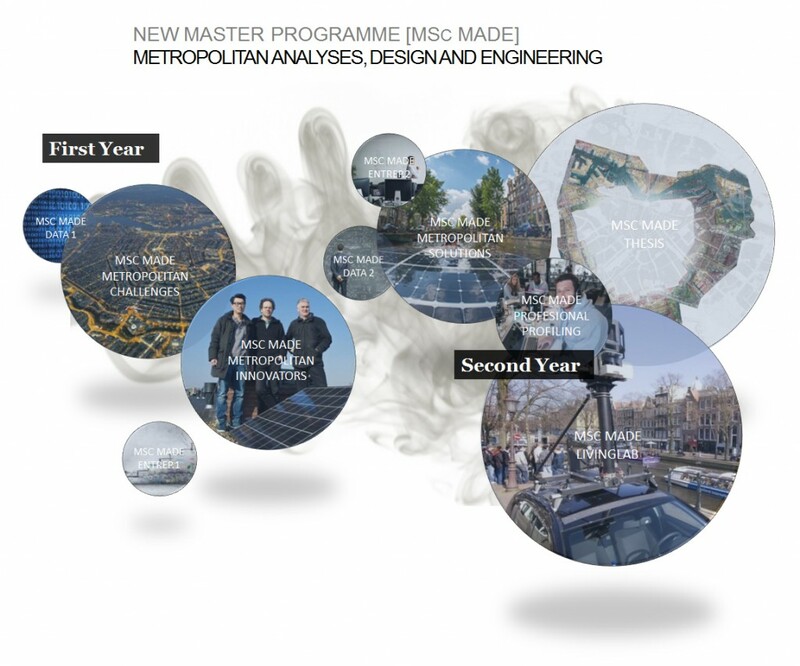 The new MSc programme Metropolitan Analysis, Design and Engineering (MADE) integrates analysis, design and engineering in the sphere of the flows in the city; the physical, digital and social environments; and the city and its citizens. As full master programme, the MSc MADE prepares students to be specialised on one hand and an integrator on the other. A MADE graduate will be able to create synergy between specialists from other disciplinary backgrounds. You can make a cross-over too! The new trans- and interdisciplinary programme will be offered as a joint degree programme by Delft University of Technology and Wageningen University. It is built on their joint research activities, and consolidated in their participation together with the Massachusetts Institute of Technology (MIT) in the Amsterdam Institute for Advanced Metropolitan Solutions (AMS). In a fast urbanising world, cities and metropolitan regions increasingly face challenges of sustainability and quality of life challenges that put at risk issues of mobility and logistics, water and waste management, energy and food security, health and wellbeing. A new two-year master programme Metropolitan Analysis, Design and Engineering (MSc MADE) integrates analysis, design and engineering; the physical, digital and social environments; and the city and its citizens. These challenges are motivating science and society to approach metropoles differently. Advanced metropolitan solutions are being made possible by today’s revolution of new technologies, theories and methods. But no actor or stakeholder can make metropoles move in one certain direction. Metropolitan solutions require cooperation between knowledge institutes, companies, governments, between cities, citizens and civil society. Each year, collaboratively a mix of about 100 students have been challenged to improve the environment of people by strategically intervening in the urban fabric. They have been asked to do so in a sustainable and feasible way, and on a small scale. Next to a majority of urban designers and landscape architects, we’ve seen architects and planners joining the design teams too, and incidentally a social-geographer and a civil engineer. The multidisciplinary approach has added not only to the richness of the scope of solutions, but also and foremost to new understanding of the complex problems the city is facing.